This robust camping area is within a short distance of some of the best hiking, climbing, biking, and fishing in the world. One day to a weekend. While certainly outside of Denver proper, this robust camping area is one of the region's most popular, easily accessed public campgrounds. 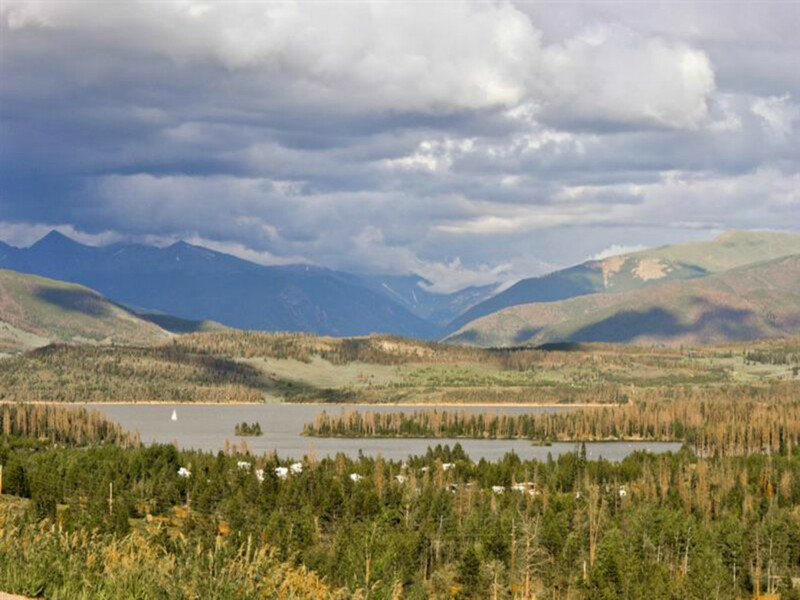 It’s only about an hour and a half from downtown and gives you a prime jumping-off point for hanging out in Breckenridge, climbing numerous peaks in the area, fishing, boating and more. The Peak One Campground is managed by the U.S. Forest Service and is quite heavily patrolled by seasonal rangers, which is both good and bad. They strictly enforce campground rules. If you’re looking for something a little looser, just head into the forest and car camp anywhere more than a 100 feet from roads or water. But if you’re looking for established camping or RV camping with fire pits and picnic tables, this is a great option. The campground has about 80 public sites with parking, picnic tables and fire rings. It also features toilets, water and trash services along winding paved roads within the park. Read up on the rules here...14 day maximum stay, 10 people and two vehicles per site, there’s a noise curfew, and the list goes on. Sitting at 9,000 feet above sea level and overlooking the Dillon reservoir, regardless of the rules, it’s still an extremely beautiful and convenient place to camp for a couple of nights. You’ll be within a short distance (some of it even walkable) of a Wilderness Area, which has some of the best hiking, climbing, biking and fishing in the world. You can also rent stand up paddleboards (SUP) and other craft at Frisco Marina nearby. From Denver, head west on I-70 then take Exit 203 towards Frisco/Breckenridge. Travel through the town of Frisco south on Hwy. 9 to the Peninsula Recreation Area. Turn left and follow the road to the Peak One Campground. You can buy firewood, and unless Summit County is under fire restrictions, you can almost always enjoy a peaceful night by the fire and under the stars.